Ex-Senate minority leader retired in 1997 but remained busy as a lobbyist. Services were held Monday for W. Rex Black, a former longtime state senator known for his devotion to the Democratic Party, working people and golf. Black died Wednesday. He was 92. 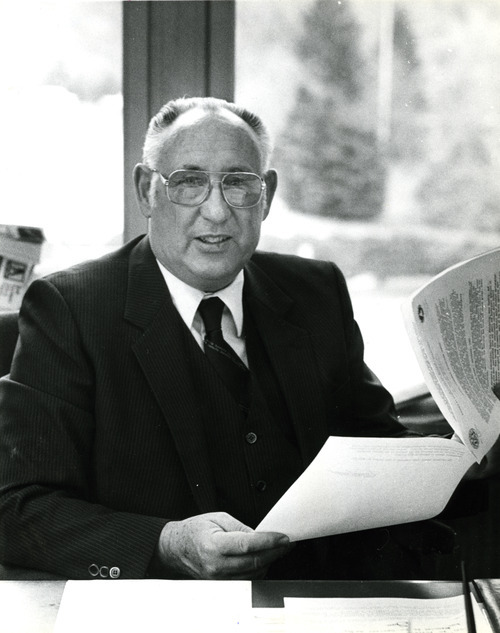 Black spent 24 years in the Utah Senate, including many years as minority leader, representing west Salt Lake City. He retired in 1997 but later returned to the state Capitol as a lobbyist for the billboard and other industries. "He was one of the few [lawmakers] who truly read every line of every bill," said longtime colleague and friend Mike Dmitrich. And as a result of that careful study, he often made amendments to bills that improved the final product. "He really looked out for the working person," Dmitrich said. Republicans also respected Black, though they didn&apos;t always see eye-to-eye on politics and policy. 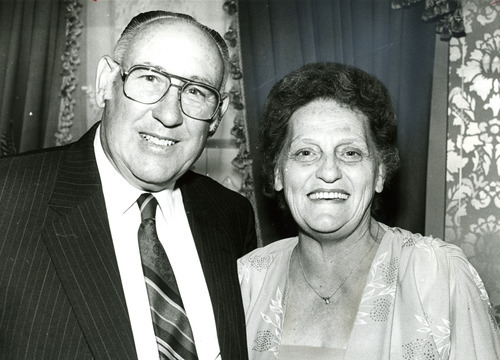 "Rex was a person I could go to and talk about policy and procedural issues," said Sen. Lyle Hillyard, R-Logan, a 32-year veteran of the Legislature. "We disagreed on some issues, but he was never disagreeable. … He was not ever antagonistic." Like Dmitrich, Hillyard noted Black&apos;s reputation for reading every piece of legislation. "And when he spoke on bills I listened because I knew I could learn from him." Utah Commissioner of Agriculture and Food Leonard Blackham, a former Senate colleague, said he recalls asking "Why does Rex stand up and ask a question on every bill I carry?" Turns out it wasn&apos;t to sabotage the Republican but because of the meticulous attention he paid to detail. Former Sen. Blaze Wharton said Black was the backstop for Democrats who didn&apos;t always have time to digest the hundreds of bills introduced every year. "Rex was the guy, if we didn&apos;t know what the bill was, we could turn around and ask Rex and he would say in that low voice, &apos;It&apos;s a bad bill,&apos; " recalled Wharton. And for many that was enough to decide how to vote. Black led Democrats in the Senate when they had more power than currently, including two years serving as majority whip, from 1977-78. 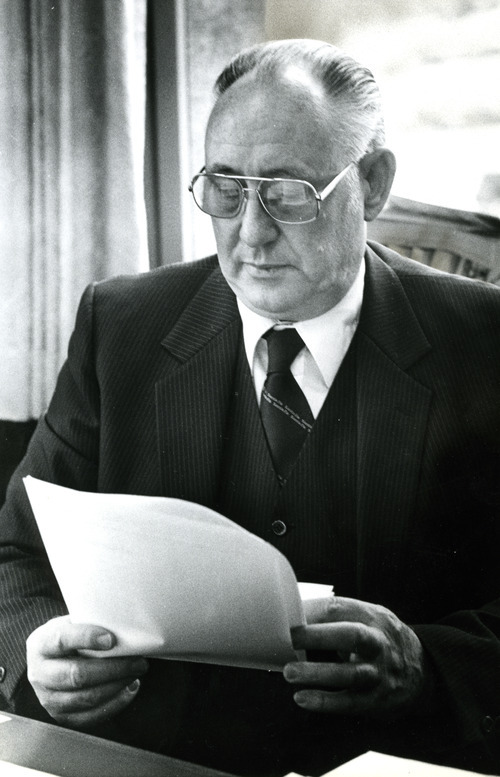 He was elected minority leader in 1981 and served 10 years in that position. At the time Black retired from the Senate in 1997 Democrats held 10 of the 29 seats  twice as many as will occupy the chamber when the new Senate is sworn in next month. Former colleagues say his love for politics was matched or exceeded by his love for the game of golf. 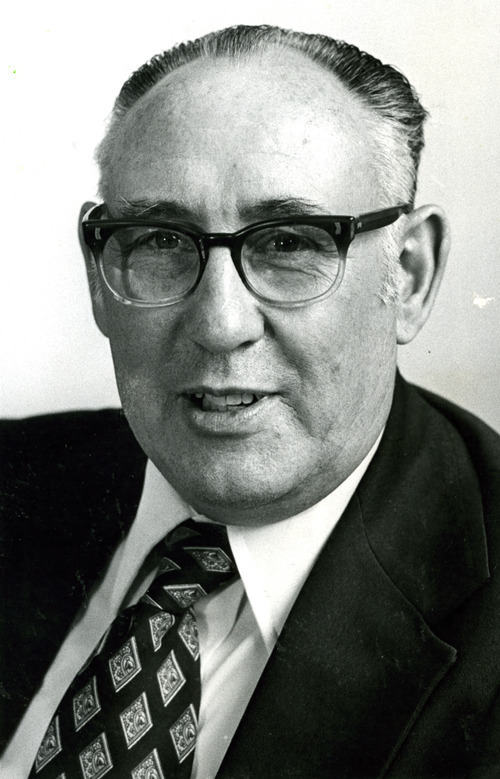 Black was instrumental in development of Wasatch MountainState Park golf courses in Midway and had a hole nicknamed in his honor: the Black hole. Wharton was a frequent golfing partner of Black&apos;s and recalled that while Black was no cheapskate, he never saw him purchase a golf ball  instead retrieving them from ponds with an extension pole. "It was like fishing to him," said Wharton. "I&apos;ll bet if you went to his house right now, there would be 10,000 balls there." Black is survived by his eight children, 34 grandchildren, 72 great grandchildren and four great-great-grandchildren. He was preceded in death by his spouse, Helen Frazer Black.